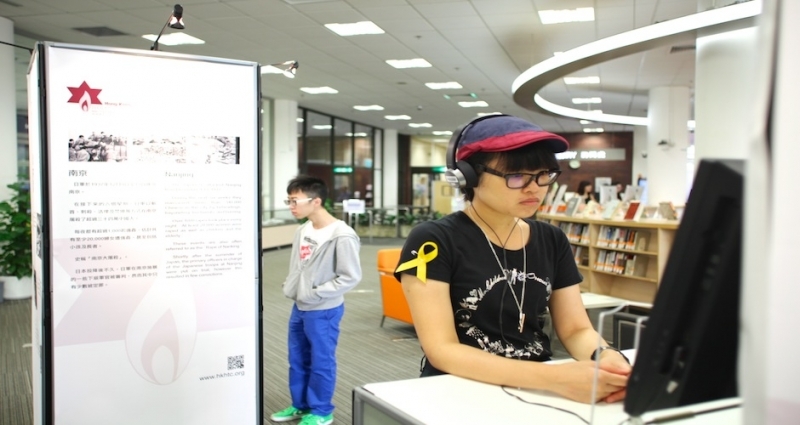 In the months of September-November 2014, the HKHTC partnered with the Hong Kong Polytechnic University on an exhibition and event series around The Boy in the Striped Pajamas, this year’s choice for Read@PolyU. 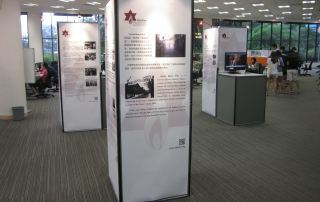 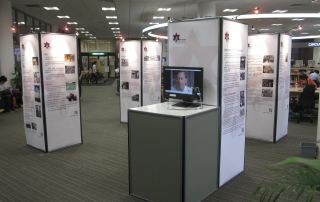 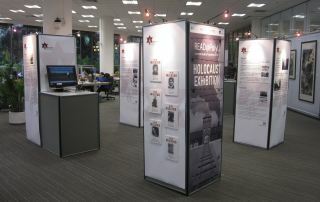 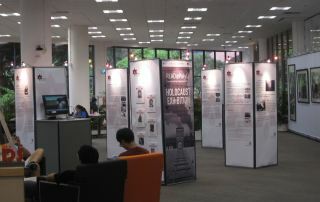 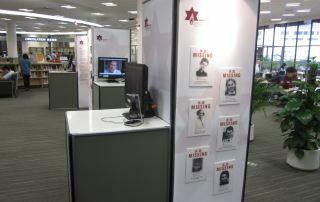 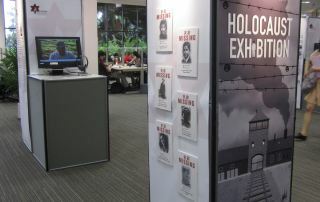 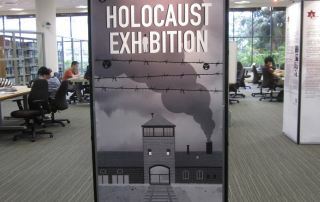 The exhibition in the campus library prompted students to interact with panels on Holocaust history, as well as information on other genocides, offering historical context to the book. 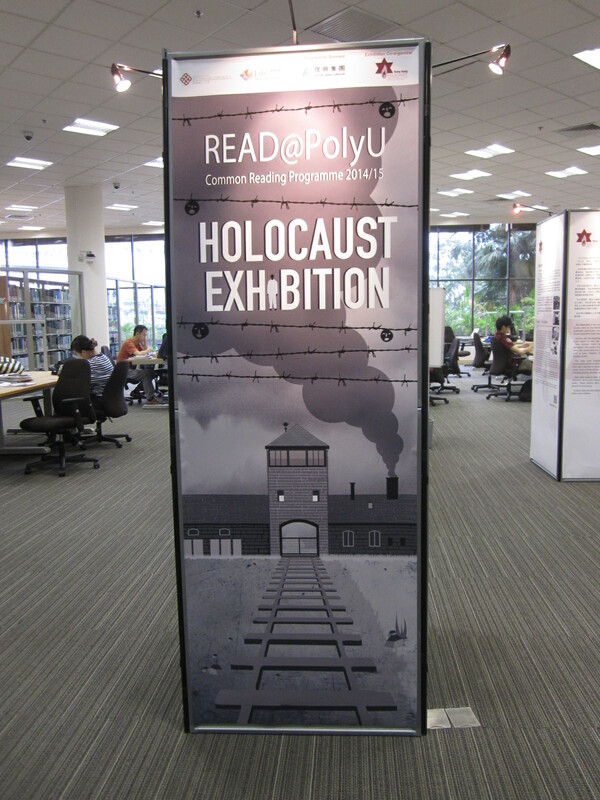 As part of this initiative, students also heard from Holocaust survivor Silvain Gilbert and partook in one of two film screening of the film adaptation of John Boyne’s The Boy in the Striped Pajamas, each followed by a discussion.